By Kathy Shea Mormino on March 3, 2013 Visit Kathy's Website. When assembling a new flock of chickens, the enormous array of breeds available to choose from can be intimidating, but it’s important to make an informed decision in order to avoid disappointment for the chicken keeper as well as unnecessary challenges for the chickens. Some breeds do not fare well in certain climates, some are not a good choice for young children, some produce fewer eggs than others, etc. So, where to begin? Below are some of the basic factors to consider in selecting an egg-laying breed. After the basics are established, the field of suitable breeds becomes much smaller and making choices becomes a much less daunting undertaking. Some breeds cope better with cold and snow than others, (referred to as cold hardy) and some fare better in very warm climates (referred to as heat tolerant). As a general rule, heavier heavier breeds such as Cochins and Marans, fare better in colder climates than lighter breeds, such as Egyptian Fayoumis, which withstand the heat much better than heavy breeds. This is not to say that a heavy breed cannot live in a warm climate and a light breed cannot live in a cold climate, but seasonal accommodations would need to be made for birds better suited for a different climate. While each chicken is an individual with its own unique personality, generalizations can be made about breeds in much the same way as in dog breeds. If a household has small children where a docile, friendly dog is preferred, a feisty Chihuahuais likely not the best choice; likewise, a Hamburg would not be a good choice of breed of chicken in that case. Chickens are often characterized as being docile, flighty, calm, friendly and bearing confinement well or not. Some breeds are predisposed to hatching eggs more frequently than others. If a high rate of egg production is important, a broody breed such as Silkie or Cochin is not a good choice. If one wishes to have hens hatch and raise chicks, broodiness is very important and either Silkies or Cochins are excellent choices. After the five primary considerations are taken into account, the selection process is fun and easy. 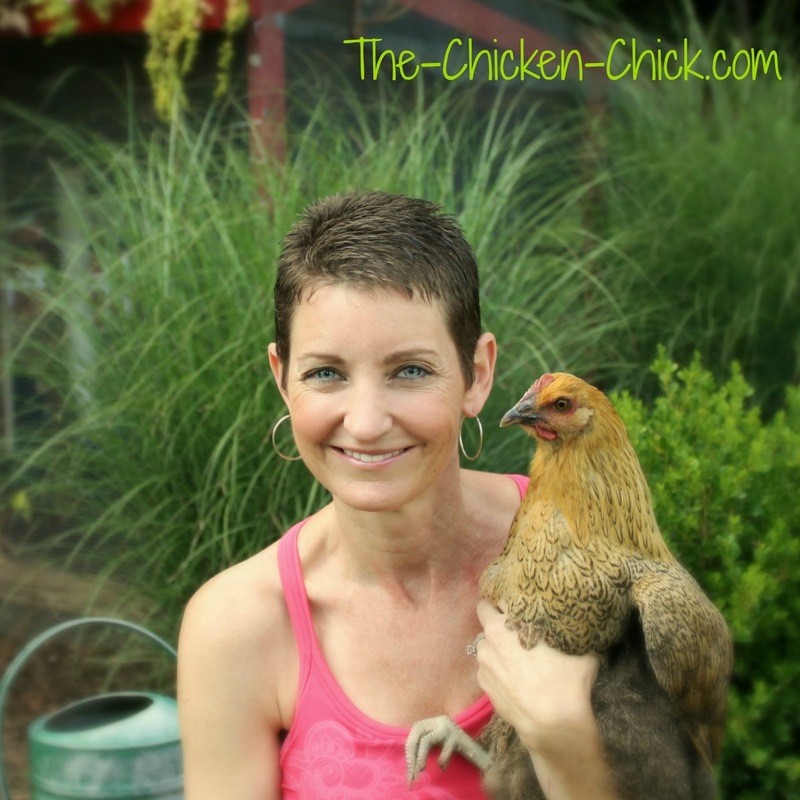 When I chose my first dozen girls, I used the Breed Selector Tool at My Pet Chicken. Answering a few questions produces a photo gallery and detailed description of the breeds that fit those specifications. It doesn’t get any easier than that! I invite you to follow my blog, The Chicken Chick, to get the latest posts delivered directly to your email inbox, Blogger dashboard, Facebook newsfeed via NetworkedBlogs or RSS feed! OMG, I’m so excited! Thank you soooo much! My babies are just two days old, this is so wonderful. I would love to have the Ameraucanas to go with my flock. I would like to add a Barred Rock. I just think they look cool! We always do well with RIR’s; but we’ve never had blue egg layers before!! Black copper marans, for sure! Black cooper marans, or silver laced wyandottes, or ? The breed I need is Speckled Sussex. The BREED I NEED is White Leghorn. Do not have any white egg layers yet! I really want showgirls. I know they are kind of pointless, but I have my egg layers, I have my show birds, I want fluffy balls with naked necks! I will be getting my first chicks in a couple of weeks. Would love to have Orpingtons! I totally need a frizzled Cochin. According to my chicken math calculations, a few dozen should suffice. I NEED black copper marans! I need a Barred Plymouth Rock and an Australorp – I will have a small urban coop and I need friendly hens who will do well with my granddaughter. Karen – at ned5clark@gmail.com– I am so glad I stumbled upon you last week. You have been a wealth of knowledge for this chicken newbie! I am interested in some Frizzles, actually have some fertile eggs ordered. Thanks for all your info!! !Love the warmer for my brooder!!! I’ve got a pretty good flock started but would love to add some Rhode Island Reds or Red Stars. They’d love the EcoGlow I’m sure! I feel the need for some Blue Orpingtons and Blue Copper Marans!! And when i win the EcoGlo Brooder, we shall be all set!! I would love to have black Australorps and blue americaunas. Years ago, I had a hen that looked like an overgrown raven. Her feathers were black, but shimmered every color of the rainbow. I have no clue what breed she was and have never seen another like her. I NEED some more Barred Plymouth Rocks, Golden Laced Wyandottes, Buff Orpingtons, Welsummers, Silver Cuckoo Marans and Blue Andalusians. I’d love to try the Blue Ameraucanas too! I need at list one of everyone of them. LOL but if I have to narrow it down from the page the Appenzeller Spitzhauben would be one. I would like silver laced Wyandotte also. I’m Gina A. At vintagecharmbygina@yahoo.com. Hi Kathy! I NEED a frizzle! So cute & fun! I would love some more Austrolops. We have one girl is she is always the first to come and see me in the morning. Her personality is what I love the most about her and that makes our flock seem so much more enjoyable. Blue Orphingtons would be on the list also. These have a place in my son’s heart. He can hardly carry one of the girls, but they dont mind him at all. We have buff, so some blues would add to our rainbow. I need blue copper and blue splash marans. I’d love to win an ecoglow on my birthday! I would live some Miller Fleur d’Uccle bantams …. gorgeous! Would fit in well with my RIR bantams and mottled Belgian. there were 11 breeds that came up for me. I like the larger egg layers and not so much the mediums so of the choice of RRR and Easteregger, I’ll take the easteregger. I have production reds now (RRR and NHR mis) and woul d love blue eggs. I’d go for the Assorted Brown egg layers. But I’ve already ordered Barred Plymouth Rocks & a few Rhode Island Reds. Oh, and also some Cornish Crosses & Red Rangers. I want Hamburgs or Ameraucanas! Would love some white silkie bantams. Thanks – Bill Burnett bgburnett1@yahoo.com . I raise and breed Black Copper Marans. I don’t require a selection as this is the only type I am working on for SOP. Your blog is very entertaining as well as informative. Keep up the good work! I want some Welsummers, some Polish, a couple of Easter Eggers, some blue bantam Silkies, and some Silver Spangled Hamburgs! we would love a black cochin frizzle …our black cochin ‘henny penny’ passed away last fall due to a hawk. she is sadly missed …. heidi rice stricklandrice@cox.net thanks!! Would love some Lavender Orpingtons or Blue Orpingtons….Thanks for the chance !! I would love to try Salmon Faverolles they are a Lovely breed that I have not raised before and I am a sucker for there beard and feather shankes, they would go great with the silkies I am raising. I would love some Partridge Silkies! We have black, blue, splash, white and buff and love them all. Silkies are the best sitters too! I would really love to have some Australorps. Would love an easter egger and a polish! I love my SL Wyandottes and Barred Rock. This year I’m adding a silkie, a cochin and a Maran. I’d love to add the buff orpingtons! I would love to have a Silkie. I would love a favaucana or cream legbars! I just love getting blue eggs! I just got my 3 chicks, a plymouth rock, amerucana, and a rhode island red…but if i could have a fourth it would be a polish hen. I would probably kill for a Gold-Laced Orpington or a Lemon Blue Orpington. Or, a LF Frizzled Cochin. Just getting started and would like Easter Eggers, Marans, Silkie and Black Cochin Frissle. Welsummer. My daughter needs White Silkies. Nola Allen here! I need a heavier breed with a good temperament, so I chose Buff Orpingtons. I would love to get some Buckeyes!! I’ve just been reading about them & I see them listed under Rare Breeds. Hmmm!! Might have to order some! I need Buff Orpingtons and Dominiques, and Buckeyes, and Delawares, and, and, and…..I need them all! I like variety in eggs and heritage breeds. Last year we got our chickens according to cold tolerance and egg laying. This year we chose docile temperment: Buff Orpington got our vote! Love the silkies and orpingtons. Marans, Australorps, Sussex… Delawares, Buckeyes… Isbars, ok I’ll stop! No wait, Wynadottes too oh my!! I would love to have Plymouth Rocks again. They have great personalities and do quite well in our chilly climate. They lay the most gorgeous, huge brown eggs. They are just beautiful to look at. Since I live in the south and it gets really hot, the heat tolerant breeds would be best:) And I don’t know if i want any broody chickens but hope to one day hatch some eggs, so I guess I need the Eco glow! I want a variety! I’d especially like a couple of white leghorns, for the eggs (I do pysanky with the shells!) and the eating of the eggs, of course, but also wheaten ameracauna for the shells, again! And I’d love a mottled houdan, I had a little roo once, who was the sweetest bird EVER, but a Silver-laced wyandotte cockerel bullied him to death before I figured out she was a he. SIgh… ANd there are MANY MANY more than I WANT!!!!!! I want a variety, but Easter Eggers, Blue laced and Gold laced wyandottes are musts! Sally Walsh-I would love to have Orpingtons, Speckled Sussex, or Wyandottes. Actually I would be thrilled with any breed! I love all the chickens.. they each have their own personalities and temperments.. but they are truly one of God’s beautiful creatures. We have Plymouth Barred Rock hens.. and a rooster that is mixed that was given to us by a neighbor. She thought it was a hen that her other rooster was picking on – SURPRISE 🙂 I have been gathering eggs and have them in my incubator now.. I can’t wait for the babies to arrive.. we will love them as we do our others THOSE will be the breed I NEED (: … now… if I only had a brooder.. Already liked you on facebook and subscribed via e-mail 🙂 Needing to get Silkies, waiting on a hatch of splash Silkies now. Wanting to try hatching and raising chicks with them. I am needing Silkie’s, waiting on some to hatch now! I’d like to try hatching and raising chicks with Silkie moms. Would love a blue egg layer (Blue Ameraucana) to add to my flock. Love my chickens! I would love to have a whole flock of Buckeyes! I would love to have some Delawares, and as I just put eggs into and incubator, a brooder would be nice! Copper Marans is what I’d like. I’m hoping to get a variety of chicks in April, one of which will be a Welsummer. I do intend to get one of these brooders one way or the other. winning one would be great! I would need to choose the “Assorted Rare Breeds” on that page…. cause I would hope that there would be Blue Ameraucanas in that batch! Black Frizzle Cochin Bantam are on my wish list. Buff Orpingtons, Barred Rocks and/or Americaunas. I would love some Silver or Gold laced Wyandottes, or more BCM, but as of right now I am gonna be elated if my bator of mixed EE and Cochins hatch! I have a variety and love everyone of them!! Right now we have white leghorns, Americanas, and black sexl link. Just got 4 new babies. Can’t wait to get more!!! Believe it or not I need a Rhode Island Red. I plan on adding a couple next year. You really are making this hard. Deciding which breed is about like choosing which dessert to eat. At present I have been looking for some Delawares. Though I do need a Dominique Roo for some hens (mine was killed.) Then I’ve been drooling over the Lavender Orphingtons, but they are kinda rare, not to mention expensive. Decisions, Decisions. Oh, and a Frizzle for fun. I would love some Jersey Giants! I have a large variety of chickens, but do not have a hen that “goes brody”. I end up purchacing chicks every year and raising them inside until they are old enough to be integrated into the flock. I would love or NEED a silkie like Freida to care for chicks and sit on eggs. I just love your updates with pictures of her being a wonderful mom to the eggs/chicks. I follow you on facebook and I would love to add Black Copper Marans and Silver Laced Wyandottes to my flock. I would love to add Black Copper Marans to my flock. I need some dark brown eggs and olive eggs to complete help my colorful egg basket prettier. I am looking to get my first chickens. I am a veteran that has been finishing up on my chicken coop and it should be completed by March 12. It was started on March 1. I wanted it comfortable and secure. If I was to win this contest I would really like to have some Silkie Bantams (females). I can honestly say I spent about 3-4 weeks just reading on chickens and checking with the wife to see if it was alright. I even checked on local city code as well. I’ve raised animals (fish, canaries, dogs, and cats) all my life and enjoy having them. The chickens I would take good care of. My email account is jterhoeve@sbcglobal.net. Thank you for the consideration. I enjoyed reading your article. I would love any hen that came my way. I found the Favaucana with Breed Selector Tool at My Pet Chicken. I would eventually like to get a good strain of Double Laced Barnevelder, maybe with a blue strain. I would also love to have Cream Legbars. I have Marans in the incubator now with some Olive Eggers. Having the Brinsea brooder light would make the transition so much easier. We use a Brinsea Mini Advanced now. I want them all!! But i’ll start with white leghorns and barred plymoth rocks. I can’t find my post – would just love any babies to take care of for many years to come. I love my Bantams, Would love to have more Silkies, Cochin, and Frizzle Cochin. We would love to add some Blue Copper Marans & Araucanas. We just lost our 8 year old Araucana ~Cluck, very sad day yesterday. Thank you for your wonderful blog and wealth of information! I love the dark brown eggs of the Marans…so the Black Copper Marans is what I like. I have one Marans..but she isnt a BCM..she is another type. I also love the Americaunas and the Speckled Sussex. I love ALL the Chicken breeds out there..but want to be wise and have only what I need. Well you know I love the Buff Orpingtons so much, but if I had to pick just one breed to get started with, I will have to go with the Easter Eggers due to their heat tolerance, different looks, and colorful eggs. I really like you on FB. Any good brown layers to start my first flock. I would love some barred plymouth rocks. Thanks for the great contest & if you’d like to get in contact with more “chicken people” check out my likes on FB! I was having trouble getting Black Copper Marans as far as availability, I ended up ordering Welsummers instead for the dark brown eggs so a brooder would come in handy about now. I absolutely LOVE your website, I learn so much from all the information you provide. Reposting this because I don’t see my original post. I don’t know if we can enter more than once, but I have 20 chicks coming tomorrow!!! I could really use that brooder!!! I’d like the: Mille Fleur d’Uccle Bantam. Thanks!! I want to have Buckeyes! I would LOVE a Frizzle to add to my collection (Black Copper Marans, EE’s, and OE’s)!!! We are just getting back into having animals on the property, We had some Polish Crested Buff chickens and the Black with White heads and just loved them so I think I would need some of them again I have 4 Black OEG Game birds right now 1 rooster and his 3 girls … 4-H projects … 12 of their eggs in an incubator, 6 red rock 3 week old chicks under the heat lamp , will be ordering some meat bird day olds in the next week and turkey chicks about 6 weeks after that. A good brooder would sure come in handy ! love your website Chicken Chick ! I’m having a hard time getting this to work right…my computer internet keeps getting messy so sorry if this is a double post. I would love some Orpingtons…maybe buffs and for sure some blue..! And Americaunas are fun. I wouldn’t mind having a couple of Plymouth Rocks, although I’d like to have a variety one day. Love the different combinations of eggs! I would love to have some assorted rare breeds, but I’m not super picky 🙂 I just want happy chickens that I can raise to be super friendly, and I’d like them to be big enough that I could let them free range during the day and coop them at night for protection. would LOVE LOVE LOVE Silver Spangled Hamburg chicks in my yard, they are so very beautiful and so unique!!! BTW love your articles!!! The Breeds I Need 🙂 are Buff Orpingtons, Black Australorps, Aracanas and Rhode Island Reds. The Ecoglow Brooder looks awesome; hope I win :). Theresa Nieman ,mothertess@msn.com .I would love some buff cantecler or isbars or cream legbars. Jersey Giants and Black Copper Marans!! I love the big girls!! i like the australorp breed. says it is sweet and gentle and perhaps could make friends with my rohode island red. Barred Rocks, Buff Orpington because they are hardy, dual purpose, good temperament. I have learned so much from your blog….though the whole mite and lice thing made me gag…sorry. Silkies please, they are the sweetest. I still would love to have a Black Marans!!!! I need the Black Copper Marans!!!! PLEASE!!!!!!!!!!! would love to have a variety of different chickens. Marans for cold New England winters or Plymouth Rocks for good production. I need Barred Ricks so I can collect their feathers when they molt! We have Dominiques but their feathers are too soft for some crafts. I need about six good barred Rocks! I love this blog post. For sure has some great things to think about before getting your chickens. I currently have an Australorp and she is an amazing friend and egg layer. I would love to add to my flock with a few various breeds or even some healthy mutt chickens. My name is Carrie Moore and email is carrie_alexandria@yahoo.com. I want Barnevelders so badly that it makes my teeth ache. I spend hours looking at pictures of them and admiring their beauty. There are lots of gorgeous, sweet breeds out there, but the Barnevelder is the one that makes me swoon. More Rhode Island Reds please! They are such wonderful birds- friendly and happy, and great layers! Candice at purplecatpaws1@hotmail.com. Have a great day! From the click here link I need barred plymouth rocks. They are so beautiful,gentle and great egg layers. The other breeds that I need from your photos are: the golden laced wyandotte and red laced wyandotte. I love their beautiful markings, gentle disposition and laying ability. I would like to raise some bantams. I have enough egg layers for now but I would like some silkies and a few others for their broodiness and just because I think they are beautiful. I need Australorps, Welsummer, Faverolle and Cochin! I have Red Stars, but if I didn’t, I would need them too. They are so friendly and are such good layers. I really want Silkies! They are adorable! I need more BLRW. Both my hens are splash and my roo is blue. I need some blue or black hens to round out the color options. Well, “need” is relative, but tried and trues like RIR or Barred rocks are always good, as are Buffs, which I’ve not owned yet. However, I’d like to try some an uncommon breed, like an Appenzeller Spitzhauben, but maybe because that’s just fun to say. We are starting a new flock, our favorites are welsummers, red production, cochins, and wyandottes. Noel1777@earthlink.net. Heather waldis. I think the Brahma would be the breed for me. I have a lot of kids and grandchildren who love chickens and this one seems perfect to me. I have Barred Rock, Rhode Island Red and Buff Orpington and I really want more of the Buffs. They are super gentle, good layers and lay large eggs. Goatherder … goatherder3@gmail.com I would love to add some different breeds to our small flock of Orpingtons and Easter Eggers…There is nothing like hearing hens SING and roosters crow!!! I would like a Speckled Sussex, Black Copper Maran, Welsummer, Rhode Island Red, Golden Laced Syandotte and a Buff Orpington! 😉 Hope I win!!! We have 6 4 week old straight run Wyandottes and 3 4 week old Red pullets we got from TSC. We also have 4 ducks (2 Pekins and 2 Rouens). I am hoping to get some Buff Orpingtons and Australorps ASAP. We have two acres and want a lot of birds for a lot of eggs for us (we are a family of 8) and may who already are on the wait list to buy eggs. I would love Buff Orpington, Silver laced & gold laced wyandottes, black australorp, barred rock….oh so many breeds, so little time….Love chickens…they are more fun than watching tv…. I already have Black Copper Marans, Cream Legbars, a Barred Rock and a few Easter Eggers all I need is a few white egg layers! So Light Brown Leghorns is the breed I need! I think a Jersey giant will do good around my 2 year old. She loves feeding them but sometimes she cant help but chase them around. I would love some brown egg layers!!! I have EE rooster and would enjoy to have some Olive Eggs eventually!!! Would love any wyandotte or maran! I want some gold wyandottes. black copper marans and some lavender orpingtons. There are so many beautiful birds, I have to narrow it down to these. I think they would be beautiful with my buff orpingtons and easter eggers. Thanks for your wonderful blog and posts on facebook! Temperament is my first consideration when choosing a breed. My chickens are my pets. The second is climate tolerance. Utah can has some pretty cold winters and even though I take extra precautions with their housing, I still worry about comfort since I do not use heaters. I would like some Copper Marans. Love the color of their eggs. Also, some Orpingtons would be nice. I love the one Buff I have. She loves to hatch out chicks!! After Barred Rocks and Red Stars, I would LOVE LOVE LOVE to have some Buff Orpingtons. My chick dream is to own 3 o them and call them my “Golden Girls” and name them accordingly. Shhhh please do not tell anyne or the men with nets will show up. I would love to have welsummer bantams. My kids need a smaller chicken for 4-H showmanship. I live in a climate where cold hardy breeds are needed, I don’t have any Marans, I would love to add those. I am adding Blue Cochins this spring. Thanks for another giveaway! Plymouth rock, Cochin and Ameraucanas. Australorp, heat tolerant and great layers! I’d like to try Marans for their dark eggs along with Speckled Sussex’ because our last one had such a sweet disposition. I would raelly like some Australorp and some Silver Laced Wyandotte. My favorite is the Buff Brahma, but I think it’s too hot in SC for them. Thank you! The article was really great! I love mypetchicken.com for information. They do a great job, and so do you. The breed I need is Black Australorp! Thanks for all the great chicken care tips and useful info! I need Buff Orpingtons, Black Australorps, and New Hampshire Reds. These are the breeds that have done the best in our scorching summers and cold-cold winters. I would love more mottled bantam cochins! I would like some silkies and a frizzle or 2. am gettin some maran and olive egger eggs soon! Thank you for a great blog.. I used the My Pet Chicken Breed Selector tool to choose our first batch of 6 chicks that should be arriving any day now! I have two children (ages 4 and 14) so friendly chickens were of the utmost importance. We were also sure to choose heat tolerant breeds as we live in NC where the summers can be quite sweltering. Egg-laying and color of eggs were of importance as well. We chose to begin our flock with 2 Buff Orpingtons, 2 Eater Eggers, and 2 Plymouth Rocks. I can’t wait to begin this adventure! In the future, I might be interested in adding some Lavender Orps, possibly Dorkings, and Silkies because they are just too darn cute! I need some silkies! I love how they look and always hear how great they are at hatching out eggs and being mothers. I definitely want some Speckled Sussex and Cochins…such beautiful chickens! I really would love to have this for the babies I’m going to hatch. I like Marans, gold laced Wyandotte, and my standby Orpingtons. Would love Black Copper Marans! They are so beautiful! I love my easter eggers for the blue/green eggs, but having a chicken with a GOOD temperament is even better – Buffies! I need a Wyandotte as they are great layers, hold up well in the AZ heat, and are beautiful birds. I will JUST be starting out with chickens this Spring, so I think the best choice for me would be the Dominque and the Delware, because it stated that they are both calm and friendly. 🙂 I’m so excited! I NEED Silkie and Cochin chickens! Thank you. I would LOVE to win. Hi Kathy! This is going to be my first year raising chickens and I can’t wait!!! I’d love to have an Australorp and an Orpington. I’ve done my homework and they sound like the perfect birds for me! Thank you so much! I would love to add a Silkie to my flock. I desperatly want a couple Easter Eggers, I’m in love with the BLUE Amercuanas, and a wyandotte, both Gold and Silver would make me very happy indeed!! I would like to get some Speckled Sussexs. They are so pretty. I am trying desperately to find Blue Laced Red Wyandotte’s, preferably not from a large hatchery. I have Deleware’s and Black Orpington’s and need some new babies. I have fifteen chicks coming in April! Buff Orpingtons, Barred Rocks, and Araucanas… So excited! The breed I need however, would be a Buff Laced Polish- they’re so beautiful, and their little ‘hairstyles’ remind me of a favorite great aunt who never left the house without her signature giant bouffant hairdo! haha… I would name my little chicken Justine in her honor. :o) Would love to have and EcoGlow Brooder for my chicks, it just seems safer and healthier for them. Thanks! I have speckled Sussex and Dominiques. I need (want) a maran and wyndot. I would love some Buff Orps or Barred Rocks! I would love to have an olive egger, a red frazzle, and I want to start a flock of dorkings, and some Jersey Giants. I need another house, though, as I’m running out of room for my girls. I would like to get another Salmon Faverolle (such sweet birds). I don’t have any Marans either, I would like a couple of those. and, and, and….. I would like Marans and Ameraucanas. Thanks. I would LOVE to get some Marans! Did I enter already? If not, an assortment of birds would be great. Even Easter Eggers. The ‘name’ is not important to me. Black Copper Marans for the win! I would like to have some Dominiques. My family raised them when I was a kid. I have 4 chickens; three Ameracaunas and one Black Australorp. I am adding onto my coop this spring to prepare for 4-8 new chicks this year. Would love any new variety!!! After years of Rhode Island Red (great for eggs!) I need some variety. Maybe Wyandotte or Barred Plymouth Rock. I love Cochins, they are very docile hens. I’m looking forward to the black copper marans we’ve ordered! I live in Florida, so would need chickens that could withstand the heat. Don’t have chickens yet, just wishing. I would love some silkies some day! 🙂 Is this how we enter for the brooder? Such a selection! I love them all but the buff orphington chickens have always had such a sweet disposition that I think those are my favorites. I’d love to add an Appenzeller Spitzhauben to my flock of girls as well as a few Barred Rocks and a Silkie or two! I would love to have some silkies or any other good setters. There are so many! I would love some Plymouth Rocks, Blue Orpingtons (and even Buffs) and Silkies. They are all so cute! I would love red and lavender Silkies!! Thanks, Chicken Chick!! So so could use one of those, my new day old babies would love it. I know they would like a polish friend! I would love to have Ameraucana and Faverolles. I follow your blog and FaceBook page. Thank you for all the informaiton you provide. I follow on Facebook and would love a Ameraucana. I think Australorps and Delawares are two of the breeds for me! I want some Orpingtons, any color. I also want another Maran or 2. right now I have a blue wyandotte, an easter egger, 2 delawares and a wheaten maran, all hens. I would love the Black Copper Marans! I need the Black Copper Marans! I would love black copper marans for the dark eggs, blue ameraucana for the blue/green eggs and langshan for dual purpose birds. I love your blog and facebook page. I would like Buff Orpingtons. Another Maran or very dark egg layer would be nice as well as chicken that lays pink colored eggs but I am unsure which breed those are but I enjoy the varied colors in the nesting boxes. i’d pick the assorted brown egg layers. i like having different colored chickens, that way i can tell them apart! Sorry I forgot my address. I have to post as anonymous, Deb. I wanted lavender orpingtons. I’m Stacy and I would love to add some marans and olive eggers to my flock. I want to liven up the mix of egg colors! I researched breeds (and mixes) for 3 years before getting my flock. I need to get some more LF blue Cochins because I love the Cochin/EE mixes that come out of my eggs. Love the Silkies, Easter Eggers, and Blue Americaunas! I would love to add some Blue Laced Red Wyandotte hens to my flock! my grandkids would love to have Easter Eggers. I need some Australorps. Beautiful! I would love some Lavender Orpingtons as my next go around….the Orpington that we currently have is my favorite so far….very sweet!! Thanks so much!! I would love some Lavender Orpintons as my next flock. I love many different ones so it’s difficult to choose, but my favorite girl is a Buff Orpington and we’ll probably keep her forever. The breed I have coming are cuckoo Marans! Would love to have some spitzhaubens! I’ve always wanted to try this! I am ready for 9 new ladies to join my flack of 6. 3 Barred Plymouth rocks, 3 Leghorns, 3 Amerucanas. I have a mix of Arucanas, and rescue hens that are friendly and easy going. We expanded the coop and now there’s room for more feathered kids. Adore your website! Thank you for all that you share, your excellent information and the neat contests as well. Barred Plymouth Rocks are in my future! I would love a variety of Orpingtons and Easter Eggers. Just adopted 6 Leghorns and they are so sweet! Black Copper Marans, Blue Ameraucana, Cream Leg bar, polish a Freida. Like you already on FB. And I found that Jersey Giants would also do well in my flock…. and Glad to see some of the breeds of the chicks I ordered were part of my selected too! I actually began a list the other day of all the breeds I’d like to have. The list isn’t even finished, and I’m up to 16 breeds. Have a feeling this is going to turn into a bigger operation than I expected. Some of the breeds on my list are silkies, silver laced wyandottes, buff orpingtons, the black striped kind of plymouth rock, seramas, easter eggers, light sussex, olive eggers, frizzles, polish, and ameracaunas. I am drooling over Black Copper Marans for their chocolate brown eggs. My customers would LOVE them in their cartons…..I am raising babies as we speak with an old fashioned light. Can’t afford the Brinsea. Hope I win it!!!!!!!!!!!!!! I have 12 new baby girls coming in April! Americaunas, Barred Rock, Black Australorp, Patridge Rock, & Light Brahmas. Love watching them around the yard! they will be addition to the 8 I already own. I really want to do Rhode Island Red’s this year! Next year will be my first year breeding chickens. I would love some White Sultan or Salmon Faverolles or Blue Ameraucana or Easter egger, Polish. My Flock is for my grand children to have fun memorable childhood experiences with them learning about hatching and about how to care for them and they love the more stylish and friendly chickens. They also give me drive,I am disabled and they give me a reason to get up in the morning and move around plus the companionship and caring for them is a great type of therapy. I just love them. I need barred plymouth rocks!!! Great disposition, not broody, great producers and camouflaged! Rhode Island Reds or Whites. My husband wants Ohio Buckeyes; my kid wants polish. Me? I want a Frizzle. Australorps are the best and so is your blog! I would like the Easter Egger. That site is wonderful, also! The BREED(s) I NEED 🙂 are Light Bramas, Buff Orpingtons, Araucanas, and Australorps. I have a few red and blk stars and would like to add some Orpington or Plymouth Rocks. Love your ideas! I NEED SOME MARANS 🙂 Love their eggs color too! Barred Plymouth Rocks, I have a Roo who could use some friends.lol. I would love some Rhode Island Reds and some leghorns. Barred Plymouth Rocks. I have a Roo who could really use some friends.lol. Mmmm…the blue Ameracuanas would be my breed of choice. The breed I need is Buckeyes! They are the only chicken developed by a woman, and even right here in Ohio! I love my Buckeyes and can’t wait to get more! My spring chick order includes a Buff Orpington, Black Australorp & Speckled Sussex – they arrive April 6th. The last chick will either be a Black Australorp or an Amerauacana. I live in Oregon and these breeds do well in our climate, are good for the backyard and have decent egg production! But, after seeing your morning post of the picture of your beautiful blue Amerauacana – that may have made my decision for me! Thanks for the chance to win the brooder! Would love to add black copper marans to my flock. Right now I have 2 buff brahma bantams, 2 speckled sussex, 1 golden penciled hamburg, 2 golden laced wyandottes, 2 silver laced wyandottes, 2 partridge rocks, 2 barred rocks, 1 blue wheaten ameraucana, 2 blue wheaten ameraucanas, 1 splash maran, 1 black Australorp & 1 golden Polish. 13 of the ladies will be 4yrs. old in April & the other 6 girls will be 7mo. old next week. I have had silkies, crevecour, partridge cochin & silver polish. I NEED some blue Ameraucanas and splash silkies. There are so many I would love to try! I think I need a broody, cold-tolerant Cochin. I love the Australorps! Fun, beautiful and friendly! I NEED a Silkie (any color) and some blue Cochins. I need more Easter Eggers for Easter of course!! I need a Welsummer, New Jersey Giant, Buff Orpington… the list goes on and on. I’m planning to get Silkies this spring, because they are docile and I can pretend they are rabbits! 🙂 In case you’re wondering, it’s because I am afraid of chickens and need to ease into being a chicken keeper! I would love to have some Marans! I NEED my Cochin and Silkies!!!! I have 9 different breeds coming in a few days, but what I didn’t order, which would be lovely is the Hamburg and the Speckled Sussix…beautiful! I would love to own some gold laced polish. This is a breed I love but do not own any and don’t have room for 25 at a time. I would love some Easter eggers. But since it’s a giveaway I would take anything but Bantams. The breed I need? I like to have a flock with a little of everything! Right now, though, I am wanting to add some more Russian Orloffs to the flock. I really want to add Marans, Red laced blue wyandottes, and Ameraucanas. I love a variety of egg colors from docile, gentle hens. Hello from beautiful Harmony Grove, Arkansas! Speckled Sussex would be my choice. I enjoy all the pictures and funnies from The Chicken Chick, thanks for the FUN! I NEED some Blue Ameraucanas! Thanks for having such an informative blog, has really been a life saver a time or two! I would LOVE to get some Buff Orpingtons. I need some Orpingtons to round out my flock. I just want some good old fashioned white egg layers – been wanting chickens for about 10 years now – looks like this year might be the year finally – winning this would sure help me be on my way to starting. I love my Bantams, So I would like to get more Cochin, Silkies, Frizzle Cochins and some day get White Crested Polish. Working on my Sizzle project right now. I live in Alabama, and have Wyandottes, Marans,1 Dominique, and 1 Ameracauna. I learned the hard way silkies did not do well for me in the cold, they ended up with pneumonia and my coop was to high up for them and we would have to place them up in there every night. I would love to hatch some more Marans and Ameracunas their egg production has been great! I would love to have a Brinsea instead of the dinosaur incubator I have now and I wish you were my neighbor, I love your blog!!! I need Black Copper Marans, Appenzellers and Silver Gray Dorkings. Thank you! I am new to this we hatched 3 so far City turning country my kids love it .Would love to win this I guess I would like some Black Australorps But I have alot to learn lots of reading Email is artsykindofmom@yahoo.com Thank you for the chance to win this . An assortment. I love all the different colors. After the hatch I recently had and trying to see which one of my hens would adopt the little dear chicks I realised it was going to be mine and the brooders job to be surrogates, I keep reading such good things about Silkies but im yet to aquire one, hopefully by my next hatch I will have a broody or invest in one of those Brimsea heat lamps. I live in Alabama and have a few marans and 2 wyandottes. I learned the hard way that silkies were not re right breed for me. They ended up catching pneumonia. I would say my choice would would love to hatch some more Ameracaunas and Marans, they have been very faithful layers for me. And the eggs are gorgeous! I would love to have a brinsea, instead of the dinosaur I hae! I also wish you were my neighbor, love your blog!!! I need some Silky hens to hatch my eggs. Ok, here we go. “The breed I need” are a Frizzle,and more Orpington’s. We are still using the scary heat lamp and NEED the EcoGlow. Pick me! I have wanted Lavender Orpingtons, but leaning towards Blue Ameraucana or Blue Orpington’s. I think their color is pretty. I would love some Polish Babies….. I love a mix of breeds. Love all. Great thing to win cant wait hope I win. Maran, pendescena, egyptian fayoumi and black sumatra!! If I could breed chickens that is rather than have a few. This is a great thing to win. I’m a FB fan! So many to choose from! I would love some Buckeyes and Polish and Copper Marans and… And I could just go on! I would love to win the Eco Glow Brooder! I love all breeds but love a great mix of all diff kinds. I could really use one of these badly right now in need of one for my chicks asap. I never win anything this would be a great thing to win. I would love to add some silkies to our flock! I need them all 🙂 But I WANT some silkie bantam babies! We will be getting our first batch of babies the week before Easter-I’m not sure who is more excited me or the kids! I would love some blue-laced red Wyandottes! Beautiful layers.Thanks! I love all breeds but frizzles are very nice to. I like a good mix of all. Have the silver laced wyandotte, the barred rock, the australorps and some easter eggers. Would love to have a frizzle, marans, or olive eggers. Need to make more room, didn’t think i would get this hooked on my chickens and the need for more…hehe! I would love to add some chocolate egg layers to my flock, marans, welsummer or barnevelder would be nice. I already like and continue to follow your facebook page. I would love Golden Lace Wyandottes, Buff Orpingtons, Easter Eggers, Ameraucania, Marans, Cochins and Silkies for starters. ANNMARIE FINO NEEDS A BANTAM BLACK FRIZZLE COCHIN… AND A BRINSEA BROODER 20!!!!! i would love a Black Cochin Frizzle. they are beautiful girls. I need spec sussex and silkies. But love all breeds. I need spec susses and silkies. But I love all breeds. I would love to add some chocolate brown egg layers to my flock, marans, welsummer, or barnevelder. I need spec. Sussex and Silkies. But I love all breeds of chickens. I love them all. A nice mix since I’m just getting started would be perfect. Silkie and Easter Egger would round out my crew a bit. We are planning on Jersey Giants and Easter Eggers. I like colorful eggs and docile chickens, so these seem a good fit. It would be nice to have silver laced wyandottes. Thank you for the chance to win. We have a huge coop, but no chickens, what a nice way to begin. So many…but I’d love to get back to some good ol’ Dominikers (Dominiques). They’re sweet, good layers, and have personality! I’d also like to get me some more Leghorns and Faverolles! Love both of those breeds! I would love some Ameraucanas and Polish. I have babies now and it would be so nice not to have to quadruple attach the heat lamp every time I need to make a temp adjustment. Mostly what I have are silkies. I have 3 mottled cochins, 5 easter egger bantams, 5 mille fleur, and 20 silkies (so silkie motherload lol) I am dying for some russian orloffs, but they are really hard to find. The only hatcheries that sell them require 25 minimum and well I am running out of space for that many! My sons one in FFA and one in 4-H are doing poultry as their project and we would love to win the brooder!! I would love to have a blue americauna! I would like to have some silver laced wyandotte. Thanks for the chance. I would love some Barred Rocks, they are so pretty! I need an Easter Egger. I would love blue eggs. I did order an assortment from my Pet Chicken that should be in this week. I’m hoping to get a Silkie out of it! I would love to add some lavender Orps and blue Marans! Thanks kkl@tds.net Karenk. So excited about the ecoglow possibility! We just lost the second of our Wyandottes, who had happily been with us for lots of capers for several years, so we would love a couple of those, marans, orpingtons, and a couple Ameraucanas. But we will take our time getting there! I would like anything Frizzle or a polish :). Great article! This weekend I did not follow any of your advice and I bought my bantams because they were just too cute! According to mypetchicken.com a java or dorking would be good for what i need/want (I do like them) If I had enough room i would have all sorts of different kinds, I am a big fan of Isa browns. But we decided to raise Sizzles and Copper Marans. Rhode Island Reds sound perfect for a beginner living in New England. Cold hearty and pretty docile – Perfect! Thanks!! I would love silkies!!! Good luck everybody! Karen Jordan Hatch I love just about all of them but I really want some Marans. I love them all. I would really like to get some blue laced red wyandottes though. Maybe next spring. Im waiting till July for my first 8 ladies from MPC. Have a nice assortment coming, but most excited for my Blue Laced Red Wyandotte. If I could get a few more I may go for A Speckled Sussex, Blue Orpington, and Black Copper Marans. If I had the money to spend I would definitely go with some Blue Ameraucanas. I always need more naked necks 🙂 Love them! Boy, how I love having chickens!!! I just need to have a blue and a wheaten Ameraucana 🙂 Thank you for having all of these wonderful contests and such a great blog. Good luck everyone! Wow! I am sure at the end of the line!! :) I would love to buy some Marans and some more frizzles. I love my silkies and frizzles. they are little puff balls. Americauna! I just love the blue eggs! I would love some Plymouth Rocks they are very pretty and I like the egg production. We’re looking forward to black copper marans! Cochins are awesome! And I love the frizzled ones the best! Three of the breeds on my radar for the future are Copper Marans, Nankins, and Dominiques. I’ve really been bitten by the chicken bug! I love your FB page, I make sure to visit every day so I can see everything from you and my fellow followers (flockmates?). The breeds I NEED are Ameraucana (any color, lovin’ me some blue eggs), and blue laced red Wyandottes (I have a silver laced and she is fabulous). Thank you and PLEASE continue your wonderful, valuable blog. I like and will stay with the Assorted Bantams. I live in the city and they are perfect for our space. I have Saramas right now and love them. We are excited to be welcoming 4 new breeds in about 4 weeks! Wyandottes, Speckled Sussex, Cuckoo Marans, & Lavender Ameraucanas! But 1 other breed I just really, really want is Olive Eggers. That will probably have to wait until next year though. 🙂 I’d love to have this brooder for the new babies. I would love the Blue Americauna & Cochins, Speckled Sussex and Black Copper Marans. I like a variety of chickens roaming the yard, and enjoy seeing a rainbow of eggs. We made a homemade incubator from recycled materials- total cost $8, and have now hatched out 3 Silver leghorns, 1 barnevelder, 2 welsummers, 2 easter eggers, and a wyandotte this weekend. One of the chicks had a bad foot and so we made him a sandal, just like your example on your blog. He’s looking pretty sporty! Buckeyes are my first choice, they have great personalities and Easter Eggers for the egg colors! I would dearly love ameraucanas! Would love to have Silkies and Australorps but, don’t NEED, just WANT. Love the heat lamp, too expensive for me to buy. You can email me at hauckfamily@truevine.net or FB Debi Hauck. Hi Chicken Lady! I don’t NEED any of them but, would love the Silkies or Australorps. They are my favorite. Was at my friends house today and saw the heater, loved it but, too expensive so I would love to win one. Don’t want to leave address here but here is our email: hauckfamily@truevine.net or you can FB our farm Amazing Grace. THANKS! I have Jersey Giants. They are not prone to brooding. So, I need a broody breed. The local feed store has some bantam silkies in that I plan on getting. Setting up brooder tomorrow. I would like Ameracana, I have someone hatching some this month; Plymouth Rock; Speckled Sussex; Australorp. I NEEE a white bearded silkie! I want a variety to add to my current little flock, some that lay different colored eggs and others for entertainment (like the Crested Polish), but I would choose a Silver Laced Wayandotte. I would love a brooder for my new chicks. Thank you. Black copper marans please 🙂 Thank you. I would love some Blue orpingtons, Black Copper Marans, lavender Orpingtons, Silkies, Sicilian Butter cups, and any breed that are really great egg layers. I would love to add some silkies to my flock. Oh, I “need” Black Copper Marans. I have ALWAYS adored the egg color…and their hardiness. I am wanting to get some Barred Rocks and Red Stars. They are both good layers. I would also love to have some Olive Eggers so I could have some of those gorgeous olive colored eggs! Brown egg layers. Would love to get Black Copper Marans! I have a small flock of various breeds now… but we found we really enjoy the Americauna’s and the Marans. We have one marans and a handful of the Americauna’s in the flock and would like to add some more. We also have one Welsumer and I just love that girl… I’d love to add some more of them as well. Since it wouldn’t behoove me to get too many more hens.. These would be my top choices for now. I would enjoy cold tolerant but historic breeds…Dominiques are so pretty. I also would enjoy having some chocolate egg layers…never have had them before……….Marans. I would love a olive egger! I would like Speckled Sussex, Blue Orpington and Wheaten Ameraucana. I would like some Silkies and a couple of Anconas…the rare breed package would be neat, too. I want a variety. I would likesome good egg layers,but I would also like 2 broodies for hatching out future generations. I would like egg colors across the spectrum so that it is easier to tell which chickens are laying and how often. Then if one stops laying for some reason, it will be easier to check which one and if they are sick and need to be treated. I ordered a bunch of different chicks this year, wyandottes, aracaunas, cochins, red star,and leghorns. I hope to later on get some Marans. I would also like to get some ducks because we have a pond. Tawni Wright and I need silver laced wyandotes! I enter these all the time and never win, is there a trick to this? I would love to have a couple Blue Laced Red Wyandotte hens. They are really pretty as well as being good egg layers. I need Blue or Splash Marans! I love my FBCM but the other colors look amazing! I think I would like a Plymouth Rock!!! I love the coloring!!! I would love to have some blue laced wyandottes! Love your blog. I’d like to add in some Orpingtons. DELAWARES!!! They are our favorite breed, so kind and sweet. Easter Eggers or Marans for the color… Barred Rocks for the disposition and laying ability. I would love to have black frizzles or silkies again.I need some girls who will be broody for my my others have no interest in sitting on eggs.I have 2 silkie roosters but unfortunatly no girls. I would love to win the brooder. PS Thanks for all the vet care posts. Very helpful! Kathy, I’ve been wanting Black Copper Marans. I have to admit its because of the color of their eggs. I have 20 plus various brown layers and 4 EEs and I LOVE the different colors of eggs I get. Itjust seems like dark brown egg would be the perfect addition. Would like some frizzle (like Rachael), bantey, bantam, & comet. I don’t have any Polish right now…I sure would like to have another little Polish hen…. I would love cold hardy egg layers, specifically Rhode Island Reds and Red Stars. Thank you! I need blue prohibitions and blue Ameracaunas:). That’d complete my flock! I have different kinds of chickens… we love them all. I have one easter egger that lays green eggs. I would like to have more chickens that lay different colored eggs. If I could choose just one breed I would like Marans. I need Black Copper Marans, Salmon Faveroles and a couple white crested Polish to complete my flock. I would love Blue Orpingtons or Dominiques. There are so many wonderful chickies to chose from, it’s hard to pick. I love your blog and get a kick out of the pics you post! I want some Buff Orpingtons and Black Australorps! I can’t get chicks until I have a brooder! I have benn a long time FB follower and enjoy it!! I am thinking the Blue Laced Red Wyandotte would suit well for us! i NEED a few lavender orpingtons! they’re so pretty! I would like some Speckled Sussex., Marans , Ameraucanas!, splash cochins , Barred Plymouth Rock Bantam, and Australorps. I love baby chickens and I have been raising chickens most of my life and I am 62. Already a Facebook Follower. I need more Silkies (only one at present, she is a dear) and likely a few more Americanas. We do need a roo, though, so there will be fertile eggs for hatching! Lol as a empty nester I need any breed that thinks of me as mama. Sharron Davis nurnan101@gmail.com I wanna keep em warm too. I would love to have a couple Appenzeller Spitzhaubens! They’re so beautiful! I really want some Marans & Easter Eggers! I’m trying to get a variety of beautiful eggs now. The colors of eggs out there are amazing! I would love some silver laced cochins. The standard kind! I want the plymouth rocks they are wonderful hens and lay really nice eggs. Umm… Two of each, please! Salmon Faverolles, Speckled Sussex, and Marans are the main hens I’m still wanting. I have 10 new 5 day old chicks and would be thrilled to have a new EcoGlow 20 brooder. I want so many critters I need a whole farm. I still need some speckled sussex and marans! Oh, I would love Blue Orpingtons. I really want some true Ameraucanas! I love the Light Brahma! I “need” a colorful-egg laying hen to add to the flock – maybe an Easter Egger or Ameraucana? The breed I need is an Olive Egger. I just love the egg color! Oh my goodness! How in the world do I choose just one breed… I know, my top two! So, on that note, one day I would LOVE to have a few Welsummers and Blue Laced Red Wyandottes to add to my current, small flock conssisting of: five Buff Orpingtons (Rose, Blanche, Sophia, Lucy, and Ethel), two Ameracuanas / Easter Eggers (Dorothy and Maude), and one Barred Rock (Sprinkles). I absolutely love my girls to pieces! good luck to all the entrants, we would love to add some blue andslusion as well as marans and some easter eggers or olive eggers too! Karen Jordan Hatch-I want one of each but want to start with marans then maybe a blue araucana or 2. I would love some silkies and polish, love the top crests. the puff on top is to sweet. had some that loved to be petted but lost them to a fox. have now out-foxed our coop so we would love some more. Dawn Brittain I would love to have Barred Rocks. Need. Definatly a need–Wyandottes. And everything else, of course. I would give the birds to whomever needed them plus pay their shipping for them to get it. I just need the heat for my babies that are about to hatch. I would love to have some cochins! I would love to have a variety! I so would love a bantam cochin frizzle like Rachel! or a white crested polish like doc, oh who am i kidding, I’d like one of every kind! I first girls were for production, but now I just love all the variety of eggs colors. Getting Black Copper Marans soon. My daugter only wants cute girls so getting a few Sizzles too! I love all breeds so any kind would be fantastic!! We have chickens for the eggs and have thought that our one Barred Rock hen (Roxie) has been our best layer. She’s just like clockwork! We would love to have more just like her! we love the barred rocks. I really want some Quail Antwerp Belgian Bantams, but would also like Black Copper Marans or any variety of Ameraucana. I NEEDsome Salmon Faverolles, Nankin bantams, Daniel Powell line Golden Laced Brahmas, Golden Lakenvelders, and would LOVE some Polish! I would enter to get him one of these warmers. Love your blog. Thank you. The breed I need–well, I’m not sure. Something colorful or pretty, because all I have now are reds and whites. I really want the Blue Laced Red Wyandotte!!! But I already have Cinnamon Queen chicks on order so I REALLY need the Eco Glow!!! I need a Barred Rock, a Columbian Rock, an Orpington, a Wyandotte, and a couple of Easter Eggers! I would love the Blue Ameraucana, silkies and my all time favorite are the frizzles. I also love the feather footed ones. Heck I love them all. :). I would love to have all of the different colors of Silkies, they are so awesome looking, really want some. There are so many I want!! first on the list a silkie! I love the seabright so much and can’t wait to get my hands on a frizzle!! An Easter Egger, for sure! Nancy suthann I would Love Some Balck Copper Marans!!!! Tina Roeseler– Defo NEED a polish! Love the do’s! Silver Spangled Hamburgs and Wellsummers. I gotta have ’em!! According to the My Pet Chicken Calculator….We need Black New Jersey Giants, and Buff Orpingtons. That is great news, because those are the chicks we have on order to get on March 18th!!! I would love a Rachael. She puts a smile on my face daily. According to my selection chart, I would want Wyandotes, Bantams, Plymoth Rock something or other but thinking a Fizzle would be good too for more chicks.. I am still learning yet through you. I’d like Black Copper Maran, Blue Ameracauna, Australorp, Black Cochin Frizzle, and Silkie (Freida is gorgeous!) Also, wouldn’t mind winning an Ecoglow 20 Brooder, tired of the large lamps to be sure. The Black Langshan, followed closely by the Speckled Sussex, are on my list of ‘Need Breeds’. I really need some Wyandottes to join my homestead and garden! I would LOVE to add silkies! Sadly, they’re not practical for us!!! However, we are adding some Buff Orpingtons this year! great temperament on those ones! I’d love to have some Cream Legbars! Hard to choose, but an Exchequer Leghorn and a gold laced polish would be nice additions to our flock. The breed I NEED!!!! Is the CREAM LEGBAR!!!! 😀 So want those blue eggs! My son is wanting…at some point…to get some bantams. I would like an australorp and plymouth rock barred. We are just getting started … Mixed varitey brown egglayer’s, collored egg layers, some white egg layer’s.. all standerd. Thank you this opportunity. oh good gravy, where do i begin??? Oh with the “A”s…lol…i hope to order 1 ameracauna (blue) , 1 Blue Laced Red Wyandotte, black copper maran (if i can find 1 local that isnt $10/chick), 1 blue silkie, 1 buff brahama, easter egger, 1 partridge rock, and a lavendar orpington if i can find one local….i plan for just pullets since i have plenty of boys on hand….maybe i’ll get some nice mixes! so i TOTALLY NEED the brooder! hahah!! And yes, i NEED all those breeds…. still trying to convince the hubs that i need them all…. I need some Plymouth Barred Rocks! We want to add Buff Orpingtons & Black Australop’s. Oh I NEED a cochin frizzle (or two, or three)!!! Can’t wait to check back on the tenth! I’ve never won anything but, hope springs eternal! Love to get Lavender Orpingtons & French Black Copper Marans. It looks like Australope and Brahma are the ones for us! Docile for me the beginner and Hardy for a TN winter! Egg color doesn’t matter to me but raising thier own chicks would be a bonus! I am getting all polish in July from my pet chicken. I have two polish now but want more. Ordered 2 of each breed! Love your blog!! I always want more silkies!!! I have just ordered some Frizzles and Amerucanas,I love seeing different egg colors, and the diversity in a flock! We already have Plymouth Barred Rocks and RIR roosters. Thank you for the opportunity to win this. We need some speckled sussex or blue ameraucaunas. They’re gorgeous. The Golden Lace Wyandottes are sooo beautiful!! Love the lace! PS. I’ll check back on the 10th to see the winner! Any breed are welcome to our home! Fun to share and enter the contest! I want some gold laced wyandottes. I’d like some Black Copper Marans, some Exchequer Leghorns, and some Barred Rock and Cornish – both for egg variety and because I’m thinking about raising my own meat birds, because I LOVE chicken, but I can’t continue supporting factory farms. I would like he Americauna and the Cochin. I want some appenzeller spitzhaubens!! Australorp, Wyandottes, Chantecler, or Welsummer. I’m in Canada not sure if that matters. I have a new Polish and a new Silkie. I need a lamp for them. I need some Columbian Wyandotte. They seem to be the breed I am having difficulty finding local. I NEED some Buckeye Chickens!! cause we’re from Ohio! Since I already have silver laced Wyandottes I think that having some Blue Laced Red Wyandotte would be very cool. All my chickens are brown egg layers and I love them all. I have Gold Stars which are the sweetest, Buff Orpintons, Astralops and my Silver Laced Wyandottes. I would like some Hamburgs! I would love a barred plymouth rock. Thanks! Hi! I follow you on FB and have no preference for chicken breeds so long as they are winter hardy… Winning a brooder for my soon-to-be-here chicks would be awesome! My golden laced Wyandottes are very winter hardy! And they’re laying like crazy right now! The rose comb doesn’t get frostbitten at all. Easter eggers and Marans for the pretty eggs!! I’d love to try my hand at a few Black Copper Marans or maybe Blue Orpingtons. Thanks for the chance to win a brooder. I have austrolorp- would like brahma and dominique. we are just starting out. Looking for dual purpose. I like the Orpingtons, Hubby likes the Wyandottes. Any heritage really. I would love to add some Blue & Wheaten Ameraucanas and Silkies or Frizzles (If I could find them in “full-sized” chickens not bantam. I absolutely NEED Black Copper Marans! The Breed I need is Light Brown Leghorns, I have Olive, Blue, Pink, Browns but only one white egg layer. Thanks Teresa of Twin Haven. I NEED Buckeyes. As an Ohioian I want/need to help bring this breed back to popular status. Plus, I know it will fare well in the crazy Ohio weather. I would like to add a Silkie or two to my flock. My daughter really wants to see a hen hatch eggs and care for the babies. Blue Ameraucana is the breed I’d like to have just for the pretty color varities of the blue….THANK YOU!! I want some Buff Wyandottes. Any breed will be welcomed here. Thank you, for the opportunity to enter. I need to get me some Partridge Plymouth Rocks, what pretty birds! I need some black and partridge silkies, blue splash maran, easter egger and blue cochin. hmmm ~ I have six 1-week-old Speckled Sussex chicks. Sorry, I have to fix that. I’m a teacher, lolol. I would like to add a cochin for hatching eggs. Light Sussex for pink eggs and some easter eggers and more marans. I have two blue splash marans which are my favorites. I really need Barred Rocks because they are sturdy and might survive my time of learning. After successfully raising bar reds to egg production, I would love to have some Americaunas. I wouldn’t mind some Delaware. Haven’t ever owned any of those. 🙂 I have 6 week-old Speckled Sussex right now (and boy, are they hilarious! ), and I’m getting a Barred Rock, a Buff Orpington, two Cinnamon Queens, an Austrolorp, and an Americauna on April 4th. I like a variety ~ but I want to make sure they’re friendly (I have grandchildren) and good egg-layers. let’s see, the list would include: australorp, delaware, favaucana, faverolles, legbar, plymouth rocks, sussex, wyandottes, and of course Polish, just because they are so purty! I have babies coming April 8th and one of these baby snugglers would be wonderful! I need frizzle cochin bantams :-D. I have a few regular feather cochin bantams, and I just adore them! Black copper Marans!! They seem to be amazing, beautiful birds!! I need some ee’s for those pretty eggs, a frizzle or two because I am in love with your Rachel and some barred rocks and silver laced wyandottes because they are my favs! Honestly, though, i’m such an addict that I need a couple of all the breeds! I just wish I had the room! I want one of each! But out of the above a Cochin Frizzle. They are gorgeous and I would love to experience hatching my own babies. I do follow you on FB and I would love to add a few Black Copper Marans to my flock. I would lobe tom marans. Their dark eggs are sweet looking! I would love some marans! I Really need some silkie bantams! If you’re interested in entering the contest, you’ll need to include your name please. Thanks! 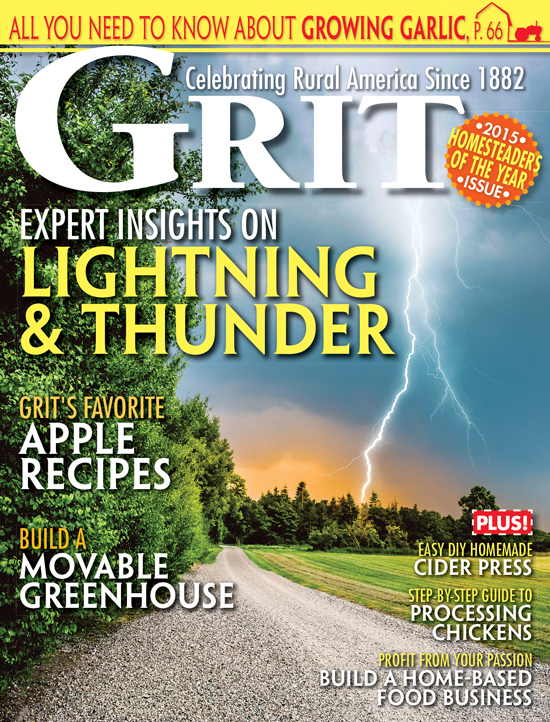 I love articles like this because it helps to know which breeds will work out for our farm best. I enjoy trying new breeds and although I already have some faves, what I really want is MARANS! I love multicolored eggs at collection time! Jeff Kallenbach would really love some Speckled Sussex !!! I NEED Assorted Silkie Bantams so that my daughter, neices a grandbabies can begin to apprecaite FFA .. Linda Wilfong. I follow your FB page and Blog too! Hey thanks for the great contest! I would love an asst. of Polish! I have 12 new babies coming in April! They are Light Brahmas, Black Australorps, Ameraucanas, Barred Rock,& Partridge Rock. They are in addition to the 8 I already own. Can’t wait, its so exciting to watch them! I would like to have some buff silkies or Blue Orpingtons. I have some vision loss and raising chickens is something that I can still enjoy even on my worse days. I have had a few birds for the last two years and really love taking care of them! I love my Barred Rock girl and would love to get some Americauna friends for her! Dominiques came up for me and I just ordered some.